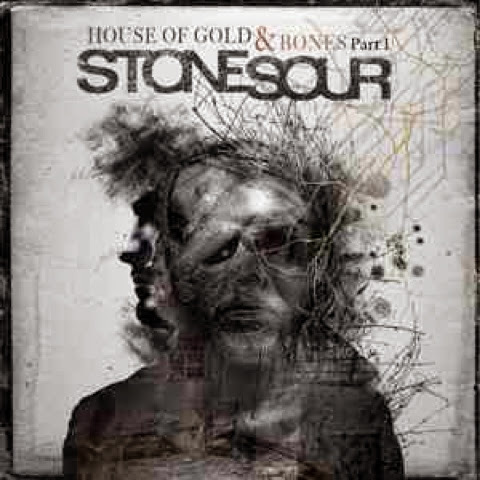 Stone Sour's fourth album is part one of the House Of Gold & Bones storyline. The story follows a character simply called "The Human" who awakens in a strange world. He must find the house of gold and bones and complete the conflagration ritual to either save or damn him. He is met by the good spirited Peckinpah, the antagonistic Black John, and the malevolent but mysterious guide Allen. There's also the cult like group of citizens called the numbers, who are led by Black John. (The full summary is best found on the Wikipedia page). Lyrically, the story is murky without reading about it. However, these songs still evoke the dreary and nihilistic feeling of the world by themselves. While a good portion of the lyrics show the band's maturity ,especially their first two records, there are still moments where they're borderline hard to listen to. Musically is where this band shines here. Corey's vocal work is heightened by being able from conveying the anger of some characters to the melancholic nature of others. The guitar work here is both memorable and appropriate for the part of the story happening. However, the latter half of the album gets tiresome with some of the songs. Even though they are crucial to the plot, there is a couple that are fitting when listening to the album all the way through but not by themselves. It does close on a fairly good note with the fast paced "Last Of The Real". While this album could be better told as a novel instead of a record, it's still highly addictive. It is a great example of what a concept and a double album should be.